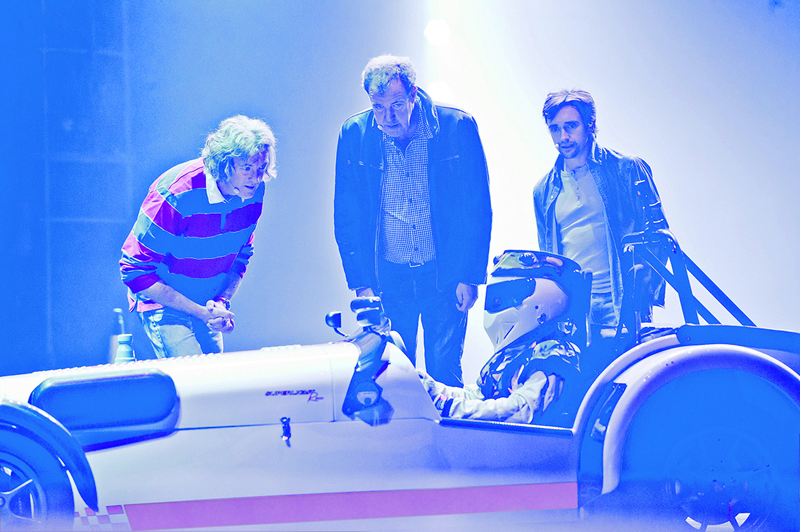 Top Gear Live has announced that it will embark on its first ever UK-wide arena tour with the presenters set to perform their latest and greatest stunts in arenas up and down the country. Fronted by Jeremy Clarkson, Richard Hammond and James May, Top Gear Live brings to life the massively popular TV programme. Featuring breath-taking stunts, some of the world’s most incredible cars and the usual calamitous mucking about, the Top Gear Live show has become a global phenomenon having played to almost 2 million fans in 22 countries. Aside from a short run of sell-out shows in Glasgow earlier this year, these will be the boys’ first UK performances since 2012.